The Masters is arguably the biggest golf tournament on the PGA tour and it is one of the biggest accomplishments of any golfer who wins it. 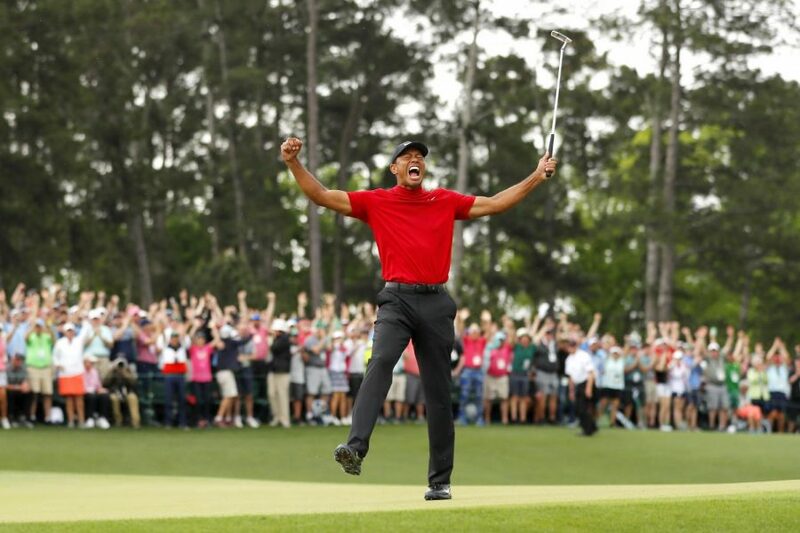 Most professional golfers who have won the tournament have only done it once but that isn’t the case for one of the greatest golfers to live, Tiger Woods, who captured his fifth green jacket last Sunday, Apr. 14, 2019. Woods’ last Masters victory came 14 years ago in 2005 and this marked his 15th Major Championship win, something very few golfers have been able to achieve. “This has meant so much to me and my family, this tournament, and to have everyone here, it’s something I’ll never, ever forget,” Woods said. Woods was one of the top names that had the potential to win, but only true supporters knew that he was capable of pulling it off as he stayed within the top of the leader board throughout the weekend. Woods took a late round lead after birdieing three of his last six holes which were enough to put him ahead and enough to stay ahead of other golfers trying to push ahead. He had one stroke to give on the 18th hole and he finished with a bogey, ending his miraculous weekend with a score of -13 and securing the jacket. Although many people doubted him after his rough past few years filled with legal troubles and surgeries, he is still thought of as one of the greatest golfers of all time and many people were excited to see that he still has it in him to do what he does best. Woods has been referred to as the greatest to ever do it based on his talent and he proved just that after finishing his round. “I think it’s crazy how good of a golfer he really is. His talent is crazy god and after having a rough couple of years, he ended up winning the biggest championship in golf again which is a big accomplishment for anyone and especially him,” junior Eliza Zarebski said. “In all honesty, I think his win was lucky because he is way past his prime and I am more than positive that he won’t be able to win another tour championship,” Larson said. There is no doubt that Woods is one of the greatest golfers to ever play the game and even though there is no telling how much longer he will be able to play and how many more wins he will be able to produce, there will always be a countless amount of people who will have his support until the very end.